Previously, we’ve learnt how to change screen density on Android device. It basically means to change the default screen resolution to gain more screen real estate. But to do this, you’ll need root access for your Android device. 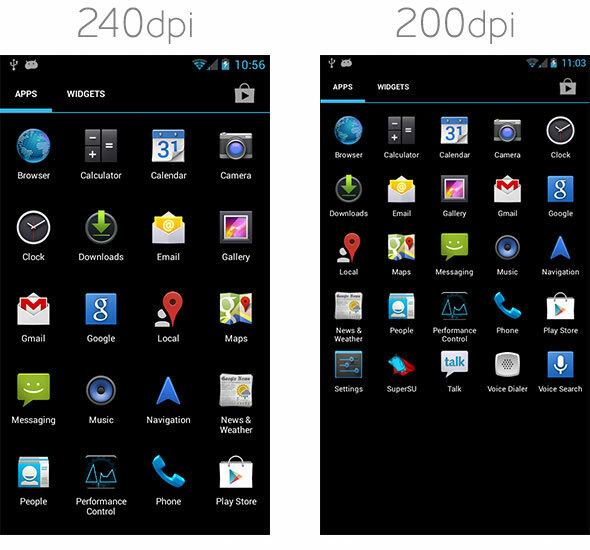 The screen density on Android device is measured in DPI (Dots Per Inch) and if we lower this DPI, then we can increase screen density which gives more space for icons, widgets, web browsing and more. While it works great, the problem is that after changing screen density, many Google Play apps become incompatible with the device. However, this issue can be solved by returning to the stock DPI value, but this cannot be considered as a solution to the problem, as it will return your screen resolution to previous stage. Another solution would be to install a modified Play Store / Google services framework APK. These solutions are hard to implement, and can be tedious if you do it on a regular basis. 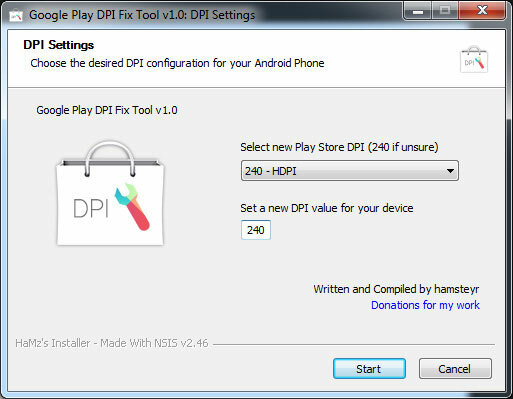 That’s where Google Play DPI Fix Tool comes in, developed by hamsteyr, a member of XDA Developer Forums. This tool is a simple and straight-forward solution that allows you to set a custom DPI value for the “device” and also for the Google Play Store. The developer says that this tool is different from others, as it does not require to install any modded files to the device, instead, it takes existing Play Store and Google Service Framework APKs from your device, processes and modifies them, and then pushes back them to the device; but the best part is that it does all this automatically. You don’t need to do any of this task manually. Google Play DPI Fix Tool is tested and works on Gingerbread, Ice Cream Sandwich and Jellybean (versions 2.3 – 4.2.1). Just make sure that you’re using unaltered stock versions of Google Play Store and Google Service Framework to avoid any problems. If you want to change to a custom DPI, then you should really try out this tool. Get it from below link.